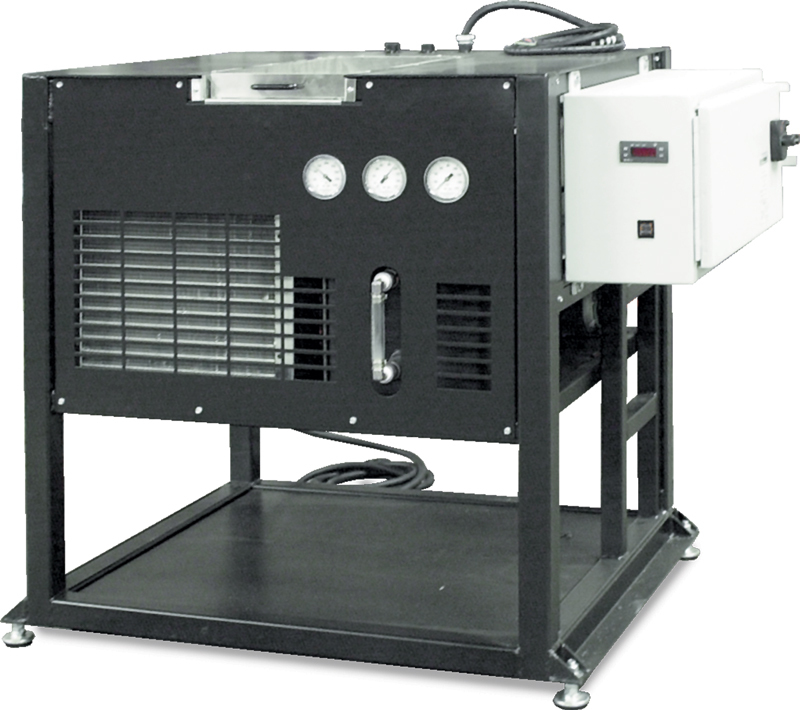 Advantage offers 'tailor made' heat transfer equipment. 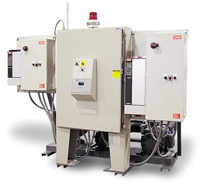 This equipment is custom built to the temperature control requirements of an individual process applications. 40% of Advantage deliveries are customized in one aspect for another. This includes factory installation of standard options to completely customized water chiller, pump tank stations or temperature control units. 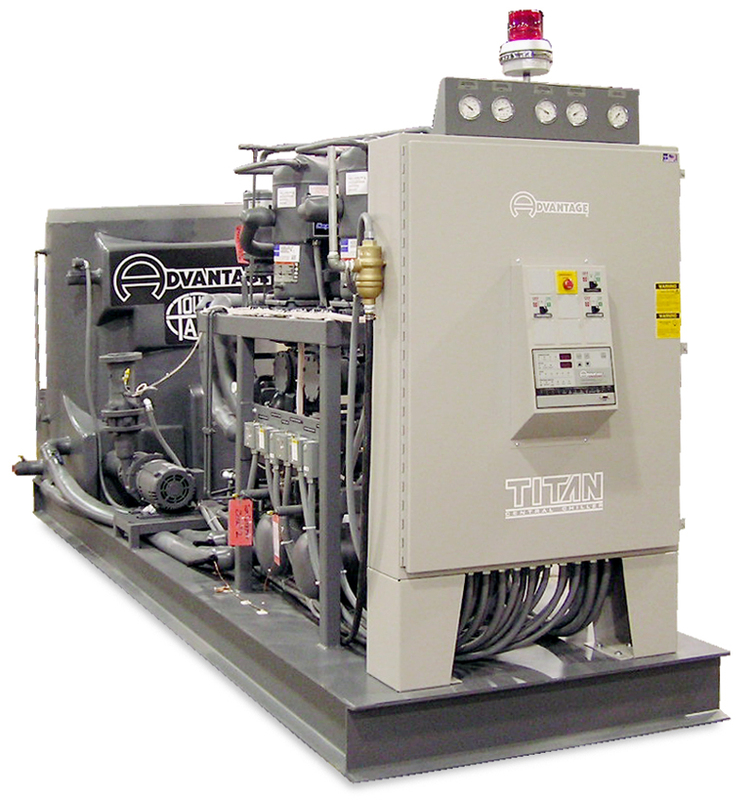 The processor required that this 60 ton central chiller fit into a space measuring 60" in width. 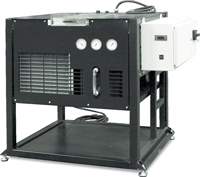 This small portable chiller required a shelf under the chiller zone for storage. This pump station required a 100 HP process and standby pump. 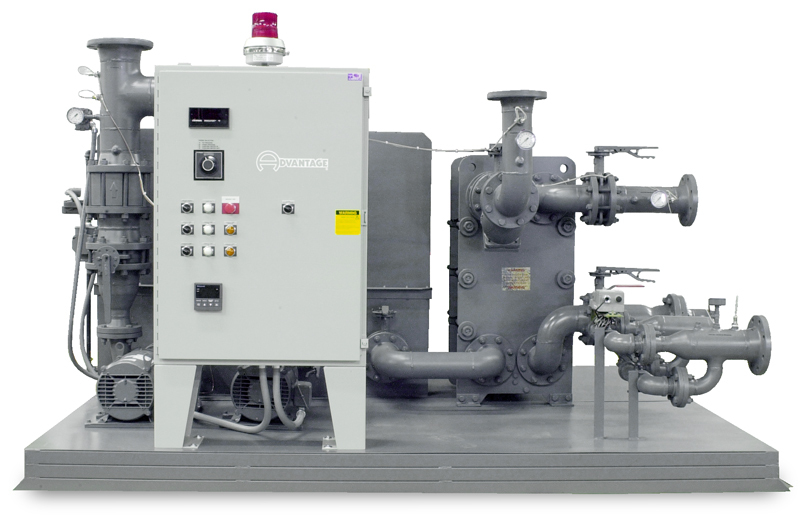 This pump station with reservoir required a pre-plumed heat exchanger. This pump station uses variable speed drives. 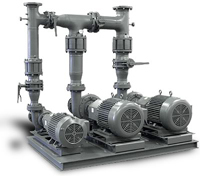 Images are not shown in proportion or in scale.